4 Seasons. XPE Insulating foam. Easily compressible for storage. All products subject to availability. Every effort is taken to recreate each item, but the colour reproduction is as accurate as modern resolutions will allow. 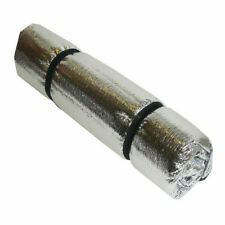 INSULATED REFLECTIVE SLEEPING MAT camp camping bed roll foil foam backing. 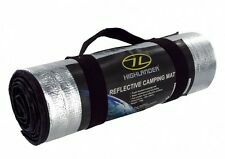 INSULATED REFLECTIVE CAMPING MAT. Foil creates heat reflective surface. Carry handle. Water resistant and insulating. Weight 95grams. Highlander Thermal Survival Blanket. Unit 1, Fourth Avenue. Trafford Park. Lightweight and warm. Colour: Silver. You are also entitled to have the goods repaired or replaced if the goods fail to be of acceptable quality and the failure does not amount to a major failure. Inflatable 190T/70D Polyester airbed. Manufacturer: Highlander. Built-in air pillow with separate valve. Superb for camping, travel or overnight stays. Built-in pump. Trafford Park. Colour: Blue. Unit 1, Fourth Avenue. HMTC MULTICAM SELF INFLATING. Colour: HMTC Multicam. The bed will require a few extra breaths during the first inflation but will then self inflate in normal temperatures. SLEEPING MAT. 75D polyester / PVC coating. While camping, travelling or doing any other outdoor activities, the Comfort Camper Mat from Highlander will always be handy. This mat is made of ultralight and insolating EVA foam with contoured shape for added comfort and protection from cold, wet and debris. Highlander Camp Bed. Heavy duty issue camp bed. Colour: Olive. You are also entitled to have the goods repaired or replaced if the goods fail to be of acceptable quality and the failure does not amount to a major failure. (Orange) - Highlander Comfort Camper Mat. (Highlander Unisex Outdoor Comfort Camper Mat). Colour : Orange. Health & Beauty. Kitchen, Dining, Bar. Other Information: SM117-OE, 305804. Highlander Sleepeze Airbed Double. Durable flocked PVC construction. Material: flocked PVC. Manufacturer: Highlander. Superb for camping, travel or overnight stays. Colour: Blue. Unit 1, Fourth Avenue. BLACK NATO. SLEEPING /. EXERCISE MAT. CAMPING, CYCLING, TRAVELLING AND OR EXERCISE. Superb Compression Recovery. Excellent insulation. Waterproof & Washable. But will then self inflate in normal temperatures. TREK LITE S. Even sleeping mats as durable as the TREK LITE range can be. SELF INFLATING SLEEPING MAT. Anti-slip dots on base of mat. The bed will require a few extra breaths during the first inflation. 3 SEASON MILITARY OLIVE SLEEPING MAT camping forces roll bed foam exercise sleep. SLEEPING / EXERCISE MAT. OLIVE MILITARY. Excellent insulation. Waterproof & Washable. Highlander Sleepeze Swift Airbed Double. Durable flocked PVC construction. Material: flocked PVC. Manufacturer: Highlander. Superb for camping, travel or overnight stays. Air valve adapter to fit different pump nozzles. Highlander Folding Sit Mat. Manufacturer: Highlander. Ideal for camping, hiking, festivals, work and travel. Folding compact design. Colour: Black. Material: 600D Polyester with PVC coating, EPE foam inner. BASE XL SELF INFLATE MAT air bed airbed camp lightweight thermalise olive. The bed will require a few extra breaths during the first inflation but will then self inflate in normal temperatures. OLIVE SELF INFLATING SLEEPING MAT. Highlander Folding Sit Mat. Manufacturer: Highlander. Ideal for camping, hiking, festivals, work and travel. Folding compact design. Colour: Red. Material: 600D Polyester with PVC coating, EPE foam inner. BASE S SELF INFLATE MAT air bed airbed lightweight thermalite olive inflating. SELF INFLATING SLEEPING MAT. Self Inflating. The bed will require a few extra breaths during the first inflation but will then self inflate in normal temperatures. MAT WITH BRASS EYELETS FOR EXTRA STRENGTH. MILITARY SPEC ELITE SLEEPING. Brass eyelets. CAMPING, CYCLING, TRAVELLING AND OR EXERCISE. Hygenic & non - allergenic. Superb Compression Recovery. Excellent insulation. (Strong welded PVC. Manufactured from flocked vinyl. Outdoor Look is an online direct supplier of outdoor clothing & footwear from the UK. Helpful Links. United Kingdom. SK11 7BN). All products subject to availability. But will then self inflate in normal temperatures. TREK LITE L. Even sleeping mats as durable as the TREK LITE range. RED SELF INFLATING SLEEPING MAT. Anti-slip dots on base of mat. Colour:RED one side GREY the other. CAMO Z FOLDING SLEEP MAT bed camp spare army military. Z FOLDING SLEEP MAT. PE foam interior. Clever zig zag folding compact design. Compact folded. Ideal for military, bushcraft, cadets, scouts, Duke of Edinburgh, camping etc. Expedition Self Inflate Mat. A high quality self-inflating mat which combines light weight and comfort. This mat will keep you warm and comfortable ensuring a good nights sleep. Top level self-inflating mat. The large Trail mat is for the sleeper seeking ultimate comfort. This mat will keep you warm and comfortable ensuring a good nights sleep. Add to your Favourites. Highlander Nik261 Nikwax, Cotton Proof, 300ml. Huge Saving. NIKWAX, COTTON PROOF, 300ML. 300ml bottle. Cotton Proof Safety Data Sheet (102.02KB) EN. For cotton. Add to Favourites. Health & Beauty. 10cm thick self-inflate mat. 130cm x 198 x 10cm. Base 10 Double Self-Inflating Mat. Material: 75D x 190T Polyester, PVC coating. Weight (kg): 5.9000. Includes stuff sack, x2 elastic tidies & repair kit. 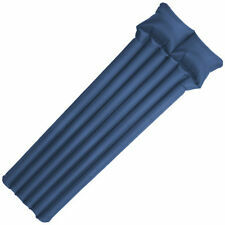 The Explorer is a top quality self-inflating mat providing superior comfort with 7.5cm thick foam and built in pillow. The explorer mat is ideal for outdoor and indoor use. This mat will keep you warm and comfortable ensuring a good nights sleep. 64cm x 198 x 10cm. Base 10 Self-Inflating Mat. Material: 75D x 190T Polyester, PVC coating. Weight (kg): 3.0050. Includes stuff sack, x2 elastic tidies & repair kit. Add to Favourites. Highlander Folding Sit Mat. Manufacturer: Highlander. Ideal for camping, hiking, festivals, work and travel. Folding compact design. Colour: Blue. Material: 600D Polyester with PVC coating, EPE foam inner. The bed will require a few extra breaths during the first inflation but will then self inflate in normal temperatures. 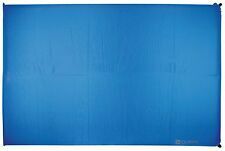 BLUE SELF INFLATING SLEEPING MAT. Colour: Blue. Self Inflating. 75D polyester / PVC coating. Colour : Black. Kitchen, Dining, Bar. Other Information: SM031-BK-01. Health & Beauty. Highlander Elite Mat. Manufacturer: Highlander. Material: EVA foam. Colour: Olive. You are also entitled to have the goods repaired or replaced if the goods fail to be of acceptable quality and the failure does not amount to a major failure. The bed will require a few extra breaths during the first inflation but will then self inflate in normal temperatures. GREEN SELF INFLATING SLEEPING MAT. 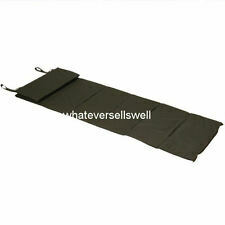 Even sleeping mats as durable as the Trail range can be punctured by sharp rocks and climbing kit. Base DBL Self Inflate Mat Blue. The double Base mat is an entry level self-inflating mat which is ideal for campers looking for comfort on a budget This mat will keep you warm and comfortable ensuring a good nights sleep. Trail XL Self Inflate Mat Green. The XL Trail mat is for the sleeper seeking ultimate comfort. This mat will keep you warm and comfortable ensuring a good nights sleep. Repair kit. Add to Favourites. Highlander Compact Mat. Manufacturer: Highlander. Colour: Blue. You are also entitled to have the goods repaired or replaced if the goods fail to be of acceptable quality and the failure does not amount to a major failure. Sleepeze Double Inflatable Camping Air Bed. The Sleepeze range of beds are lightweight and portable. This double inflatable bed is ideal for any one who wants to spend the night out camping or as a spare bed in the house. 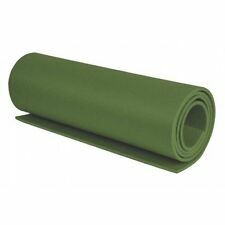 Trail DBL Self Inflate Mat Green. The double Trail mat is for the sleeper seeking ultimate comfort. This mat will keep you warm and comfortable ensuring a good nights sleep. Repair kit. Add to Favourites. 240V mains high powered electric air pump. Highlander Cyclone 240V Air Pump. Manufacturer: Highlander. Three valve adaptors to fit different size nozzles. Cable length: 68.9" (175cm). CE and RoHS compliant. Base L Self Inflate Mat Blue. Full length self-inflating mat. The standard Base mat is an entry level self-inflating mat, ideal for campers looking for comfort on a budget. This mat will keep you warm and comfortable ensuring a good night’s sleep. Inflate and deflate outputs. Highlander Whirlwind Bellows Foot Pump. Manufacturer: Highlander. Colour: Black / Yellow. Three valve adaptors to fit different size pump nozzles. You are also entitled to have the goods repaired or replaced if the goods fail to be of acceptable quality and the failure does not amount to a major failure. Manufacturer: Highlander. Perfect for camping, travel or any other outdoor activity. 2x 1400cc piston pump. Capacity: 2800cc (2.8 litres). Three valve adaptors to fit different size nozzles. Colour: Black.